Country Garden shade shelter model with a quaint theme and heavy-duty frame. This Country Garden shade shelter model establishes a country garden theme for your project, offering exceptional vandal resistance with a heavy-duty frame. 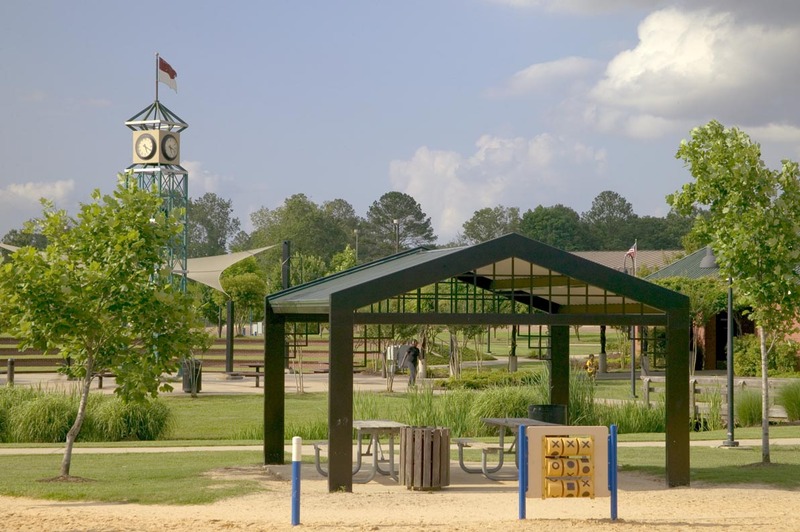 Winner’s Circle, Flowood, MS: 16′ x 16′ Country Garden shade shelter models throughout the park are finished in gloss black with Forest Green HR-36 roofs. 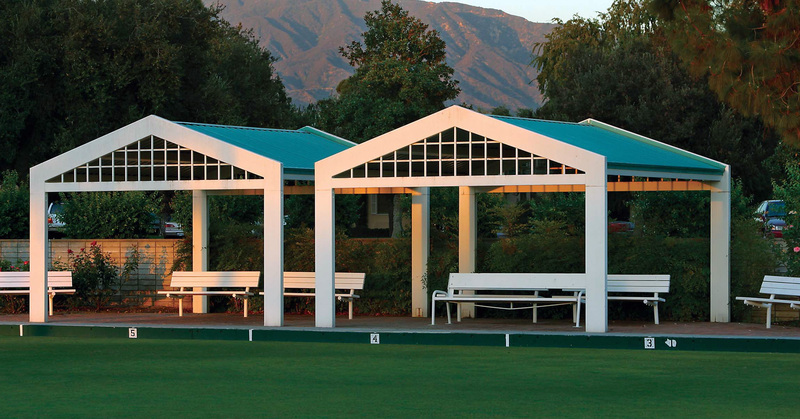 Lawn Bowling Club, Arcadia, CA: This pair of 16′ x 16′ models complements a stylish club setting in Southern California. 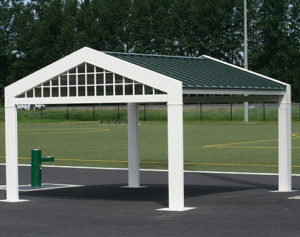 Shown with Marine Green HR-36 steel roofs.